Today, the former site of the Pori Cotton Factory is a versatile complex housing different offices, schools and a healthcare facility and is scheduled to be developed further into a shopping center. The University Consortium of Pori which is comprised of four universities: Tampere University of Technology, Aalto University, University of Tampere and the University of Turku occupies the space of former old mill (kehräämö) and cloth making departments (loimitus). The UC Pori offers education in art, economics, culture, industrial management, technology and social sciences. Mixing was the first step in the process of making the cotton fabric. The raw cotton material which was handled and later processed in other areas was turned into sliver eventually creating different types of cotton yarn. The office of the International Pori Jazz Festival, one of Europe’s largest and well-known jazz festival, is located in this part of the old factory. The new spinning mill was built during 1932-1935 to help the factory increase production. Today this part of the factory contains the newspaper office of Satakunnan Kansa, an independent Finnish language newspaper, in addition to Fonecta, an information service company, among other companies. Thank you to Heikki Tyynsyniemi and Kari Mankkonen for their photos. In the mill the mixed and carded cotton material was processed to create different type of yarns. Today, Prizztech Corporation and the University Consortium of Pori are located in the area of the former old mill. The grand hallway still greets visitors today but nowadays has a more modern look while still containing the character of the old factory. After the yarn was created from the cotton material the weft and warp were then made for the cotton fabric. This part of the former cotton production process was referred to as cloth making where the base of the cloth was made. The Restaurant Sofia is a student restaurant, cafe and caterer and today is located where these miscellaneous departments once were. The University of Turku’s Cultural Production and Landscape Studies Department is located right above the Restaurant Sofia and provides education in Cultural Heritage, Landscape Studies and Digital Culture. This part of the old factory also contains the School of Arts, Design and Architecture of Aalto University. 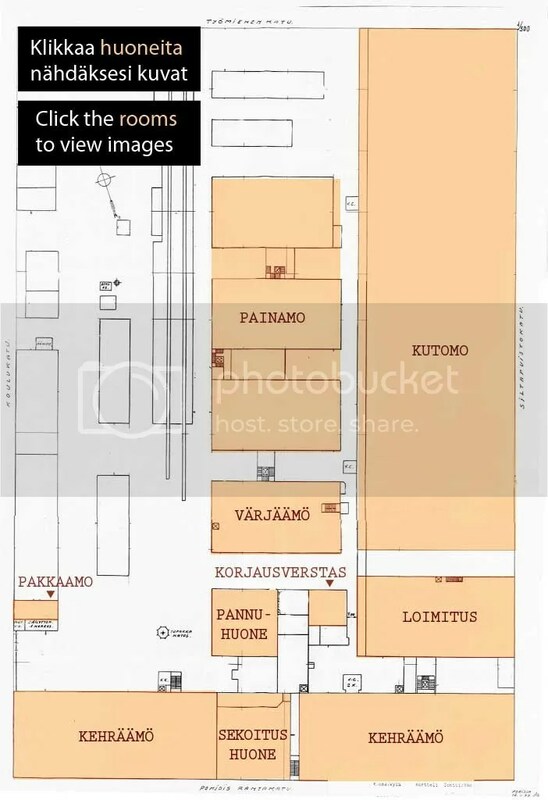 The location of the old weaving shed is now a parking lot for the entire Porin Puuvilla complex. The dyeing and bleaching department was situated next to the weaving shed. Today this part of the factory functions as the Northern Healthcare Center of Pori which is also a medical facility for teaching and research. The area of the old printing and finishing departments is now a construction site for future developments. From the old packing room the finished cotton fabric eventually ended up in people’s homes as finished products but even this part of the factory has not been spared from change and is now used as a miscellaneous office space. The factory had it’s own repair shop where its machinery was maintained. Nowadays, one of Prizztech’s offices, Prizzway is located here. Pori Energia now resides in the factory’s old boiler room so the space is still being used as a source of power today. Olipa kiva löytää tämä blogi. Itse olen ollut Porin puuvillassa kehrääjänä 1979 – 1984. Yksi kuvakin on minusta niiltä ajoilta tallella. Vähän näytti kehräämö erilaiselta 30-luvulla kuin 80 luvulla. Rankkaa kolmivuorotyötä, mutta nuorena sitä jaksoi. Hauska kuulla. Samanlaisia kommentteja olen kuullut vanhoilta tehtaan työntekijöiltä, miten nuorena jaksoi, ja miten erilaiselta tilat nykyään näyttävät.